Lyn Hejinian is among the most prominent of contemporary American poets. Her autobiographical poem My Life, a best-selling book of innovative American poetry, has garnered accolades and fans inside and outside academia. 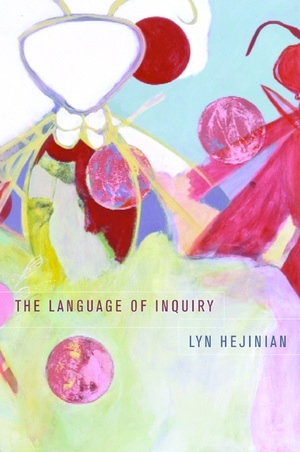 The Language of Inquiry is a comprehensive and wonderfully readable collection of her essays, and its publication promises to be an important event for American literary culture. Here, Hejinian brings together twenty essays written over a span of almost twenty-five years. Like many of the Language Poets with whom she has been associated since the mid-1970s, Hejinian turns to language as a social space, a site of both philosophical inquiry and political address. Central to these essays are the themes of time and knowledge, consciousness and perception. Hejinian's interests cover a range of texts and figures. Prominent among them are Sir Francis Bacon and Enlightenment-era explorers; Faust and Sheherazade; Viktor Shklovsky and Russian formalism; William James, Hannah Arendt, and Martin Heidegger. But perhaps the most important literary presence in the essays is Gertrude Stein; the volume includes Hejinian's influential "Two Stein Talks," as well as two more recent essays on Stein's writings. Lyn Hejinian is a poet and the author of Writing Is an Aid to Memory (1996), The Cold of Poetry (1994), The Cell (1992), and My Life (1987), among other books. She has taught at several universities and colleges and was the 1993 Roberta Holloway Lecturer in the Practice of Poetry at the University of California, Berkeley.